A rocky relationship between the United States and Mexico came to fruition during the first two years of Donald Trump’s presidency. It was no surprise because candidate Trump advocated protectionism in trade and restrictions of immigration. Jeremy Baskes, a professor in the history department at Ohio Wesleyan University, will address that relationship at the final presentation of the 2019 Great Decisions Series on April 12. Baskes directs the Global Studies Institute and the Latin American Studies major. Canada’s Justin Trudeau and Mexico’s President Lopez Obrador renegotiated the 1994 North American Free Trade Agreement (NAFTA) with Trump. Immigration and border issues, however, remain highly contentious, including the current threats by Trump to shut down the U.S.-Mexico border entirely. Baskes earned his doctorate from the University of Chicago and is a specialist in the colonial economic history of Mexico. He offers the department’s courses on the history of Latin America from ancient times to the present. He is author of the book “Indians, Merchants and Markets: A Reinterpretation of the Repartimiento and Spanish Indian Economic Relations in Late Colonial Oaxaca, Mexico, 1750–1821” (Stanford University Press, 2000). It examines the economic and social relations of Spaniards and indigenous Mexicans in the late 18th century. Stanford University Press also published Baskes’ second book, “Staying Afloat: Trade and Uncertainty in Spanish Atlantic World Trade, 1760–1820.” Released in summer 2013, this monograph is an examination of Spanish imperial trade and the ways in which merchants addressed endemic risk and uncertainty in transatlantic commerce. Baskes’s articles have appeared in the Journal of Latin American Studies, Journal of Economic History, and Colonial Latin American Review. 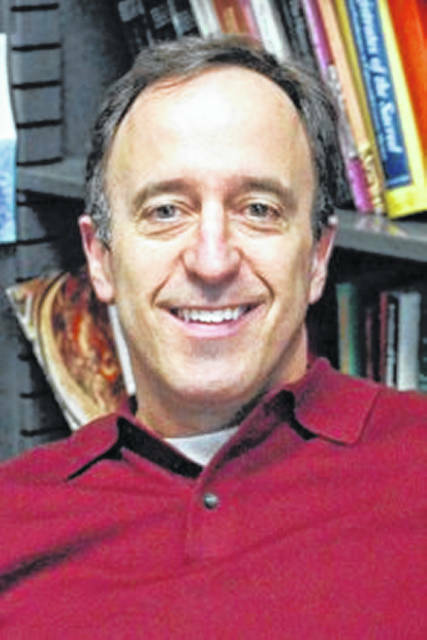 He is the recipient of numerous research fellowships, including three Fulbright awards and a National Endowment for the Humanities research grant. Great Decisions meetings begin at noon in the Fellowship Hall of the William Street United Methodist Church, 28 W. William St., Delaware. Attendees are welcome to bring a brown-bag lunch. Coffee and tea are provided. For more information, visit www.facebook.com/greatdecisionsdeoh. The series was sponsored by the American Association of University Women, Kiwanis, League of Women Voters, International Studies Program, OWU, William Street UMC, Willow Brook Christian Communities, Anchor & Away Travel, and private donors. The Delaware County Library provided a bibliography for attendees.